"I have Paulo’s tuilik as well as “Hoodie” and drysuit pants (which he is just starting to market). His attention to detail in terms of design and workmanship is extraordinary as is his service ethic. The tuilik’s breathable and waterproof fabric works! So does the adjustable, form-fitting hood, particularly when rolling. 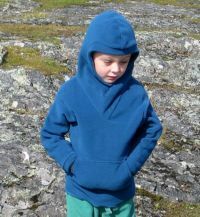 This garment, especially combined with the pile, inner “Hoodie”, is very warm (not uncomfortable) in cold and wet weather"